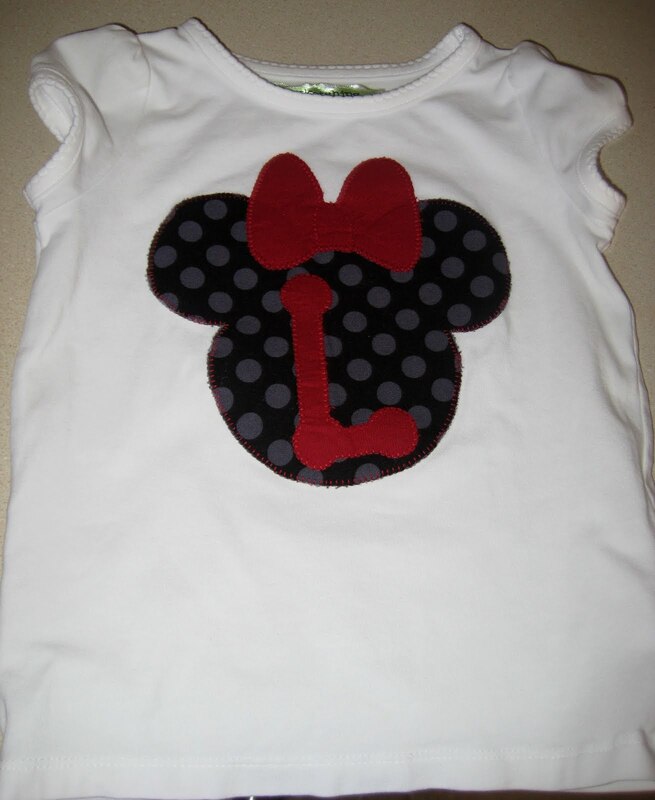 This shirt was made for a sweet little girl who is having a Minnie Mouse birthday party. It was so fun to make! I've been working on a few new designs for a couple sweet little girls. Also, check us out on Facebook! Search for Rocketships & Elephants, become a fan! 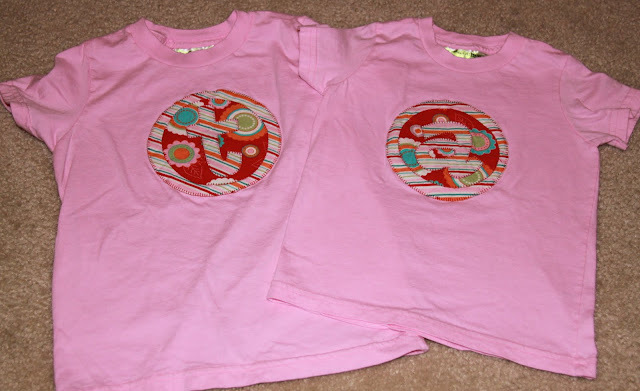 A while back I won a giveaway of some awesome Riley Blake fabrics. 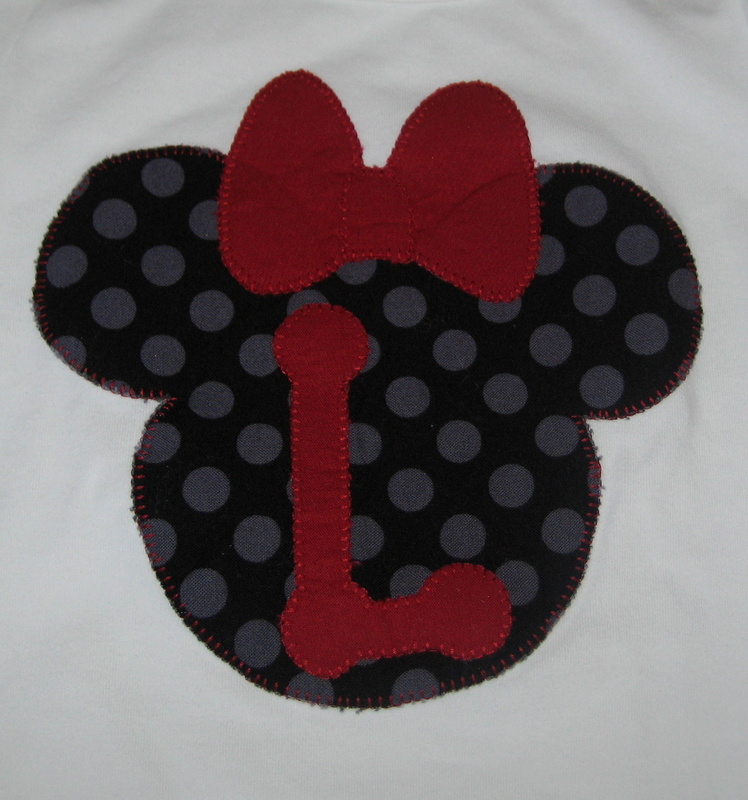 I just added them to the Picasa Albums, lots of fun colors available! Click here to check them out! I've been asked quite a bit if I made any tie appliques. They are now available! This will be the perfect touch for your little guy for Father's Day coming up! Please excuse my little grumpy man, he wasn't really in the mood to take pictures! 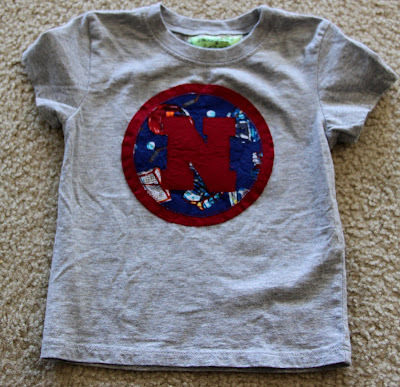 I made this shirt for a little boy who loves all things hockey. 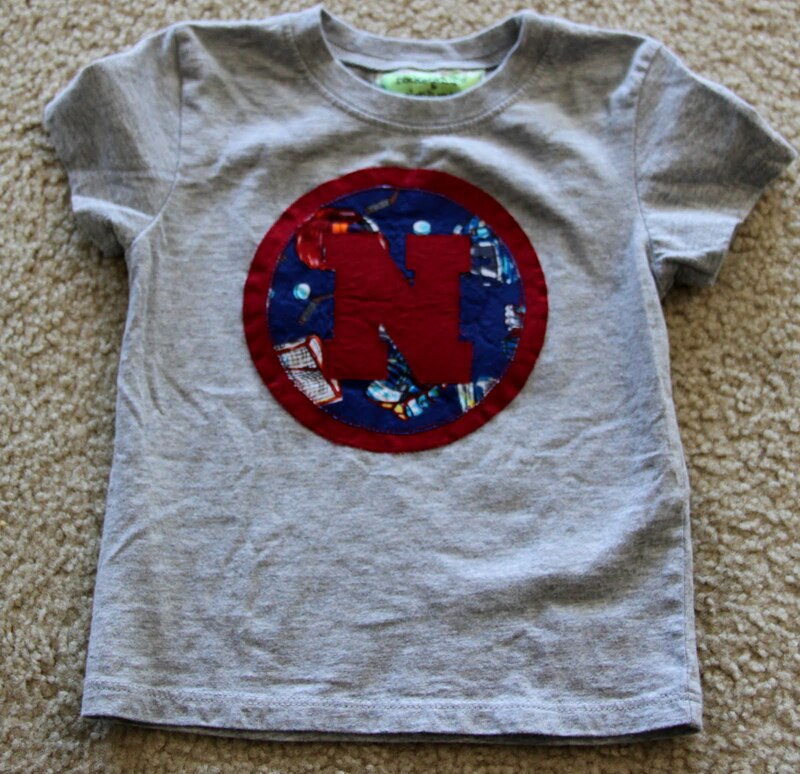 This shirt has a back applique with the little guys age. 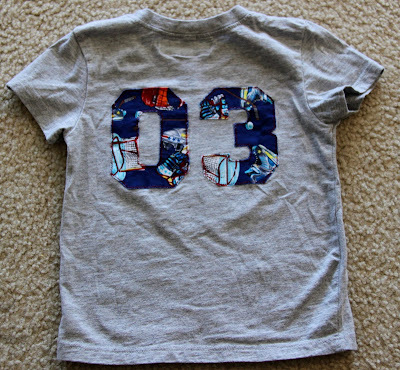 Such a fun shirt! Remember these precious burp cloths? I just finished up the gift certificate to complete this adorable set!! The heart can be created using any of my fabrics. I chose this one because it matches the sock monkey burp cloths. Let me know if you need a gift certificate for that custom gift! Definitely love how this came out. Love the pink and the flowers!